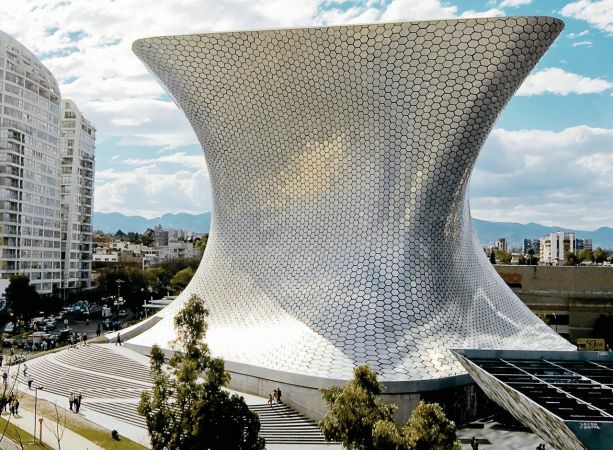 The stunning Museo Soumaya Art Museum, designed by the Mexican Architect, Fernando Romero, is a private art museum located in Puevo Polanco, Mexico City. 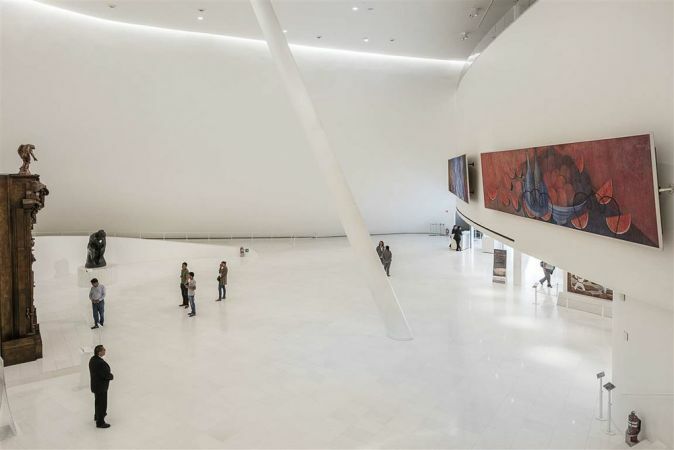 Described as the shimmering highlight of Mexico’s vast art gallery collection, the not-for-profit cultural institution houses over 66,00 works, with an alleged worth of over $700 million. 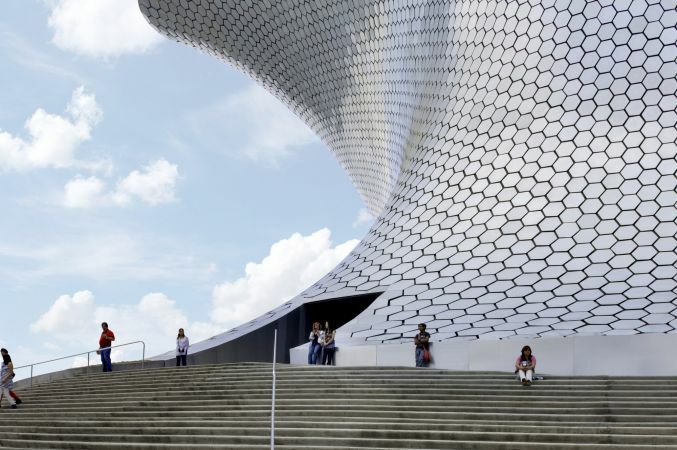 Founded by business magnate, Carlos Slim, in 1994, the museum is named after his late wife, Soumaya Domit. Carlos Slim and Fernando Romero, his son-in-law and the architect responsible for the design, spent many years and family meals planning the building. 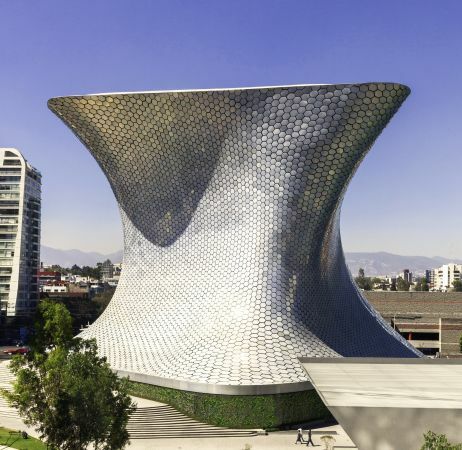 The museum started off as one building, however, in 2011 they commissioned the second, and arguably the most recognisable building, in the Plaza Carso. Standing at over 150 feet, the six story museum is covered in 16,000 aluminium tiles that create the striking exterior it is renowned for. Inside the building is not only an art museum, but also a library, restaurant and 350 seat auditorium. With floors made from Greek marble, the building truly is worthy of housing the incredible collection of both Mexican and European art. 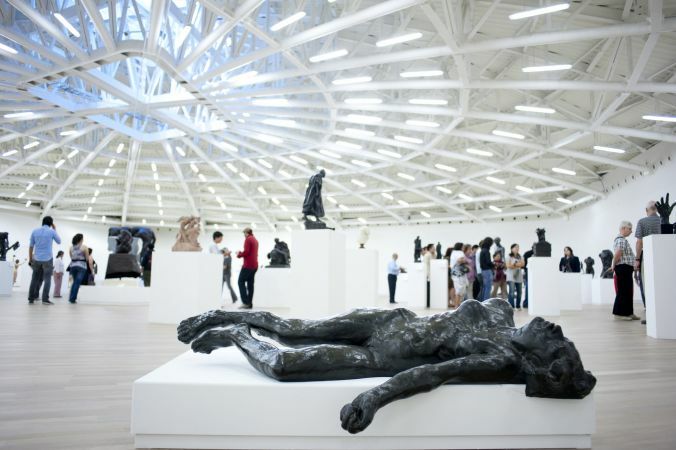 Housed inside the Museo Soumaya is an impressive art collection with ancient and modern Mexican works, impressionism and avant grade and the largest private collection of Auguste Rodin sculptures. The majority of the works are actually European, with works from the likes of Dali, Van Gough, Matisse and Monet. Slim’s fortune covers the running of the museum, resulting in free admission to the public. 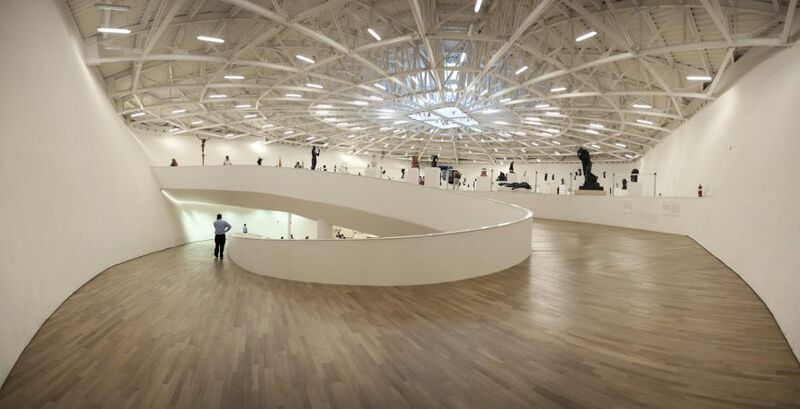 With over 1,095,00 visits in 2013 it is one of the most visited art Museums in the world and is definitely on our bucket list. 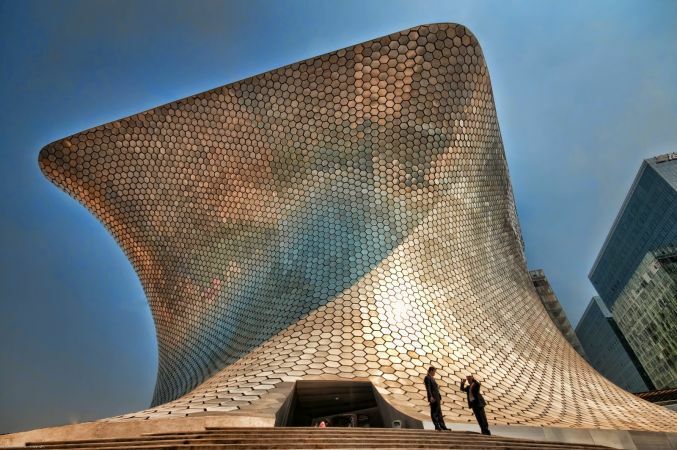 Next time you find yourself in Mexico, make your way to the Museo Soumaya and take in the stunning surroundings and immerse yourself in the incredible collection. For more on the Museum click here.